A buy-in is necessary to take a seat at any poker table. In most limit games, the buy-in is set at 10 times the high limit of the table. For no-limit games, the buy in will generally be set at 20 times the amount of the big blind. One short buy-in is allowed per game, and you may only add to your stack between hands. In the case of a misdeal, the deal will be adjusted so that the correct players receive the cards that they are entitled to in the hand. If play has already started and more than one player has acted on their hand, the deal stands as is and should be played through. Exposed cards on the first or second deal by the fault of the dealer, or if the dealer exposes two or more cards at any point in the deal. When more than two cards are incorrectly faced (boxed) in the deck. When an active player is dealt out or an empty seat at the table is dealt in. Cards are dealt out of sequence or the first deal begins with the wrong player, including in the case of the button being out of position. If a player is dealt the incorrect number of cards, unless it can be corrected without a change in card sequence. Cards will always be considered dead if they are marked or damaged in some way. This is done to prevent any cheating or collusion between players. If a player chooses to muck their cards, the hand is automatically declared dead. The exception to this rule is if a player chose to muck their hand following incorrect information, and the hand is identifiable without question in the pile. This is a discretionary rule, decided by the house. Once a player declares a fold, the hand is automatically dead. If a player throws down their hand in a manner that leads others to believe they have folded, and another player moves along with the action. In stud, this is applicable if the upcards are turned over or removed from the table. If cards are thrown into another player's hand, they are ruled dead, in any case. If a player's hand contains an incorrect number of cards, it will be considered dead. There are game-specific exceptions to this rule, as in lowball and stud poker rules. When the time limit expires without action in a timed play game, the hand is considered dead. In the game of poker, situations occasionally arise that require players to make exceptions to the normal rules. These irregularities are often rarely seen, but players should make themselves aware of the actions and reactions necessary, as they clearly can affect the outcome of the game. Protecting your own hand is one of the most important things a player must do. Players may use their hands, chips, or another object on top of their cards to protect them. Those who do not protect their hand have no recourse if there is an issue. If a card with a back of a varying color from the rest of the deck appears during a deal, the hand is dead, and chips will be refunded to the correct bettors. If the card is found in the deck stub, play will continue and that card will be removed. When it is discovered that there are two cards in the deck of the same rank and suit, everything is declared dead and players' funds are returned to them. Any player who is found to have had previous knowledge that there is a problem with a deck and does not share this information with the table will lose their right to a refund, and their bets will stay in the pot for the next legal deal. If this happens, new players cannot be added to the hand to take advantage of the monies that were carried over. Boxed cards (those which are found face up in the deck) or jokers that are not to be a part of the game are discarded as if they are nonexistent. The deal will continue with the next card in the deck, unless the card has already been dealt and is mixed in with a player's hand. Should that happen, the face-up card would be re-dealt at the end of the deal for that round. If player chooses to play without looking at their hand, they are subject to having their hand declared dead if a joker is within their cards in a game not being played with jokers. If they discover the erroneous card before action, it can be replaced. Otherwise their hand is declared dead. Playing with a deck that is missing one or more cards will make no difference in the results of the hand. Exposed cards are dealt with on a situational basis, as stated in the rules of the specific variation of poker. When a card is exposed by the fault of the dealer, the rules of the game apply, and the player does not get a say in keeping or rejecting the card. Any card shown to one or more other players by the dealer is considered an exposed card, as is any card that is dealt off the table. However, if a card is unintentionally exposed by the player, they must still be played. A card is to be burned at the beginning of every deal. If a dealer fails to do so, or burns more than a single card, the cards should be restored to the proper players if the error is found before there is any betting for the round. If betting has begun, the cards stand as dealt. If a player is all-in and there was no betting in a final round where two cards are burned, the pot should not be awarded until the cards are restored to the proper players. 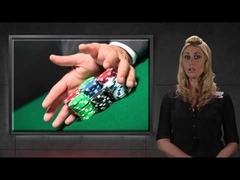 Texas Hold'em No-limit and pot-limit games, without exception. In limit games, when there are three or more players involved and all players have not gone all-in, games with two betting rounds (draw or lowball) will allow a bet, plus four raises. In a game which involves three or more betting rounds, the maximum raises allowed are three. When players go heads-up, unlimited raising is allowed. However, for this rule to come into effect, heads-up play must have begun before raising is capped. If the raise is capped and goes heads-up because of a player folding, the cap remains in place. All bets must be equal to or greater than the previous bet or raise within the same round, with the exception of an all-in bet. Verbally stating that you are going to take a specific action, such as a bet, raise, call, or fold is binding. Once you have declared out loud that you are planning to make a move, you are held to that action. Additionally, if you knock on the table, this is considered a pass. During a limit game, if a player goes all-in with an amount that is less than half the required wager, betting will not reopen for players who are already in the pot for previous wagers. However, players may call, fold, or complete the bet if they are facing less than half a bet. When a player goes all-in with more than half the bet, play continues as if they have placed a full bet, with full raises required from subsequent players. Players may only wager the smallest chip size that is used in the antes, blinds, or other pre-game collection, unless otherwise stated by the house rules that govern house revenue. Even if the bet can be made equal to the low amount, players are still required to changeover their chips to the smallest amount allowed at the table. When a player goes all-in, only playable chips are allowed to be pushed into the pot. A player who intentionally acts out of turn will be penalized. When a player decides to check when it is not their turn in the action, they are held to the check and will not be allowed to call or raise when their actual turn comes into play. Any stated action which is out of turn will be considered binding if no subsequent players choose to act within their allowed turns. Players must call "time" in order to retain their right to act. Should they not make the call before three or more subsequent players have acted on their hand, they will lose the right to act. In the case that players behind you act out of turn, causing you to miss your turn, this rule does not apply. Only your own action or failure to act can cause you to lose your turn. Players are not allowed to string raise. Once you have made a decision on how to act, you must place all of those chips or make a declaration of your action before placing the chips into the pot. If you place more than an additional half bet into the pot, you have committed to an additional full bet and are required to complete the action. When a player releases chips into the pot, they are committed to completing the bet and must complete the amount. In the case that a raise was made that a player was unaware of, they may reconsider their action if no one else has acted subsequently. For pot-limit and no-limit poker rules, there may be specific exceptions to this rule. If there is an error that results in a wager or call being placed in an amount than is lower than what is required, this must be corrected before the end of the betting round is complete. Unless a player has gone all-in, this means any action that includes betting lower than the minimum bet of that particular round. Players who have subsequently acted since the incorrect wager was placed will not be allowed to adjust their wager because of the change in wager size. Take the word of the cards, not the word of the player. If a player discards a winning hand as the result of an intentionally miscalled hand, the player who deliberately tried to fool other players may forfeit the pot. If there is any question about the validity of a winning hand, the dealer will make the call. Anyone involved with the game – including dealers, players, or those involved in administration – who notices any errors in the funds of the pot or awarding of the pot is ethically bound to report the error. Losing hands must be killed by the dealer before the pot is awarded to the winning hand. Players may not reveal their hand to any player at the table. Whether intentionally or by fault of the dealer, if a card is shown to one player that belongs to another player, all at the table must be given the same courtesy and allowed to see the card. As this information may affect the wagering of the player who has been given additional information, unfair advantages can affect the outcome of the deal. If this should happen during the deal, everyone should see the cards immediately. If the player who has been shown the cards is inactive in the hand, the cards should be shown once the hand is complete, as this can affect future hands within the game. Any player who has been a legal part of the game can ask to see a called hand, even if the cards have already been mucked. Abuse of this privilege can result in denial by the dealer. When a winning player asks to see a mucked hand, that hand will be considered live, and the winning player can lose their pot. When any other players ask to see a folded hand, the hand will remain dead. When players go all-in or check on the final round, the first to act is the first to present their hand. When wagering takes place in the final round, the last player to bet or raise will be the first to show their cards. When a player holds a hand that is likely the winner, they should show that hand immediately to speed play. When a side pot is involved, those playing in that pot should show their cards before those who are only involved in the main pot. In stud games, suit can be used to break ties between cards of the same rank. From low to high, the suit ranks are clubs, diamonds, hearts, spades. Card deals can also be used to make decisions, however these methods are not to be used to decide the split of a pot. When a non-playing dealer is being used in poker games, a dealer button is used to indicate the person who will be playing from the dealer position. This player will be the last one to be dealt cards, and they will have the last chance to bet after the first round. The dealer button will rotate clockwise after each hand, just as the deal would rotate under standard poker rules. Small Blind – The first player seated to the left of the dealer. This player is required to place a bet before players have seen their cards, equivalent to half of the small bet limit at the table. Big Blind – The second player to the left of the dealer; the player to the left of the small blind. This player is required to place a bet before players have seen their cards, equivalent to the small bet at the table. All minimums and raise limits are set for the table prior to the start of the game, no matter which version of poker rules are being used. In the event that a player is required to go all in on a blind, this will not change the limits for the table. All players are required to have paid in the required blinds in each round of play. This can be done traditionally, or by using moving blinds or dead blinds. In a moving blind, there may be more than one big blind per hand. In a dead blind, the small blind or dealer button may be placed at an empty seat to assure the big blind is properly positioned. If a game has come down to a head-to-head, the dealer will also be the small blind. The players in the small blind and big blind positions are permitted the opportunity to raise once their turn has come back into play. Though the big blind is considered a full bet, they will still be allowed the opportunity to raise even when another player has gone all-in with a raise that was under the table's limit. If a new player chooses to allow the button to pass without posting, they will only need to pay in the big blind when they enter the game, unlike a player who misses a blind. In new games, a player that draws for the button will be required to make up any missed blinds, as they are considered to be active. New players who come in after a game has started may either wait until the big blind comes around and reaches their seat, or pay in a minimum bet to be dealt a hand immediately. In certain games, such as lowball, the amount paid in to receive a hand will be double the big blind, or the player will be required to wait for the blind to reach their position at the table. Players may not change position at the table to avoid paying blinds. Players may, however, change seats if the blind has not yet passed the new position. A player is allowed to move closer to the blind without being forced to sit out a hand, but those who move away from the blind position will be required to sit out until the blind has moved to the same distance from their original seat. The only exception to this rule is within the game of lowball, where the blind may pass once without penalty. In limit games, unless table rules state otherwise, straddle bets are not accepted. Players who play over will be treated as a new player to the game and will be required to wait for the big blind to reach their position or to post the amount of the blind to receive a hand immediately. Players may not be added to the table and receive a hand at the small blind position. They must wait until the button passes their position before they may be dealt into the game. The big blind is considered a player's opening bet for the hand. As their turn comes up in the first round of betting, they may still raise if they so choose. When a player has been dealt in and they owe an unposted blind, the hand will be called dead if they look at their cards before posting the missing blind, as long as the player has not acted on the hand. If they have acted on their hand and have bet without anyone noticing the issue, the hand will continue. The player will need to post the missing blind before the next deal. A player that chooses to go all-in and loses their stack must make up any missed blinds before a re-buy. The player will not be treated as a new player upon reentering the game. When a player misses blinds, they may reenter the game by paying in all of the blinds they have missed, or by waiting for the big blind to reach their position. Whenever a player decides to make up the missed blinds, only the amount of the big blind is considered live. The dealer will take the dead funds to the center of the pot and this will not be considered a part of the bet for the hand. The player may then raise once their position in the action comes up.